BROKEN CRAYONS: bright, positive and full of energy! 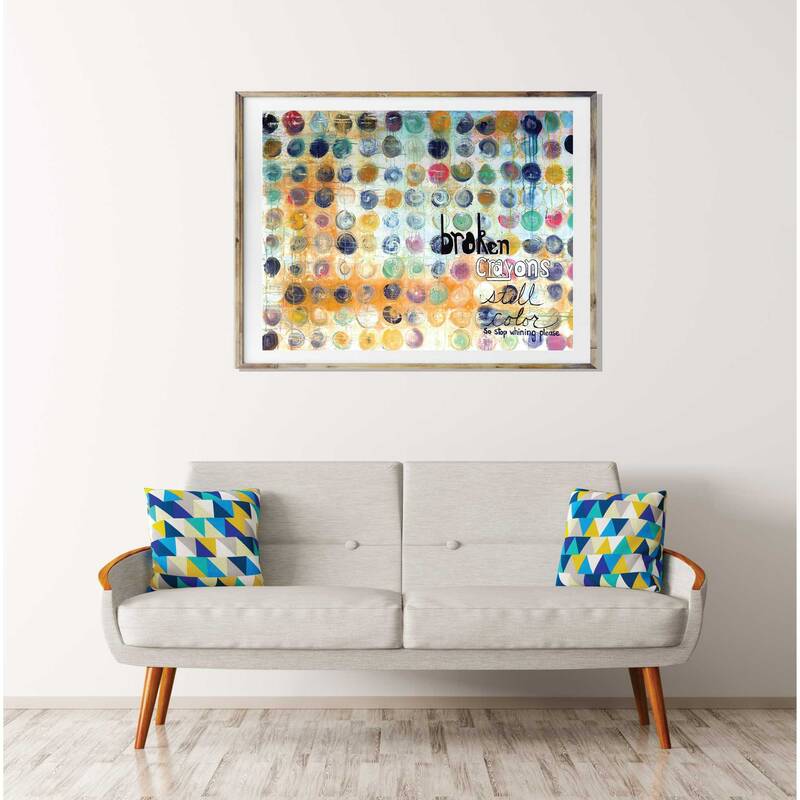 This image is composed of circles of color laid out in a grid, reminiscent of the flat end of crayons neatly arranged in their box. 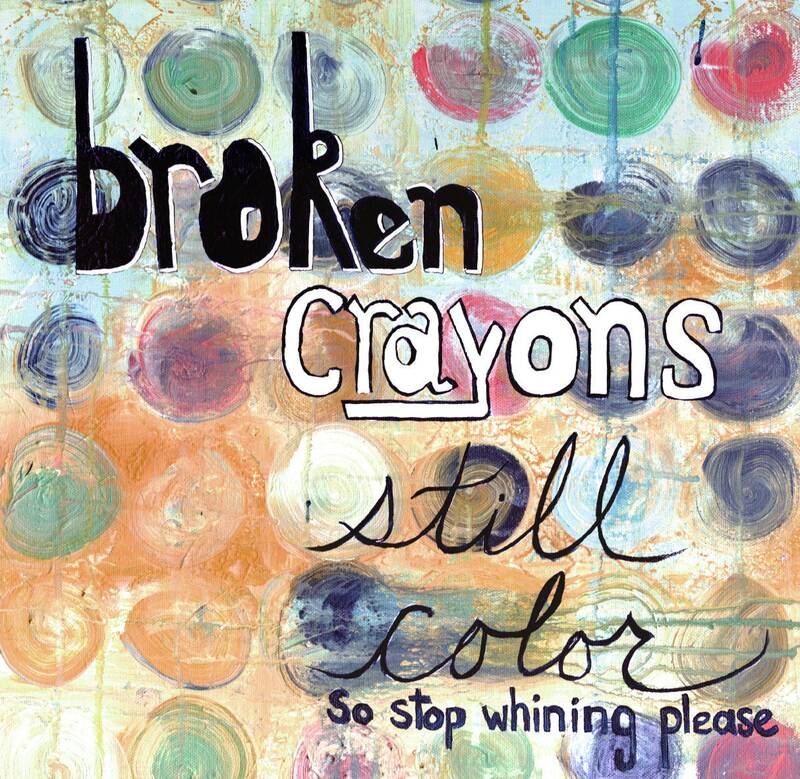 The words "BROKEN CRAYONS STILL COLOR SO STOP WHINING PLEASE". Clever image for the classroom, kids room or any room needing energy. 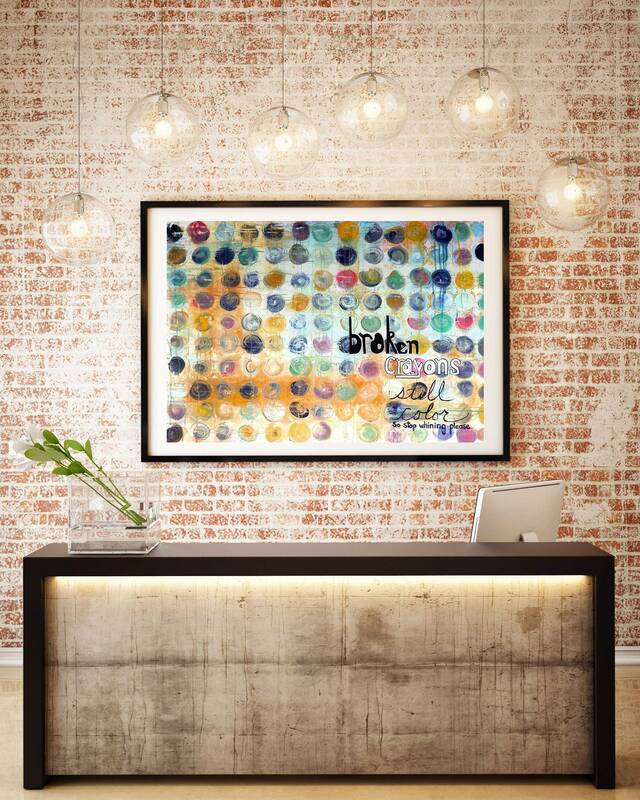 Available on original canvas or giclee print. Additional size options may be available. Let me know what size you need. RECTANGULAR FORMAT---IF YOU DO NOT WANT THE WHITE BORDER PLEASE MESSAGE ME AND ASK FOR THE IMAGE TO BE FORMATTED TO THE EDGE WITH NO BORDER. Canvas paper and original stretched canvas may also be an option, please let me know. Fabulous! 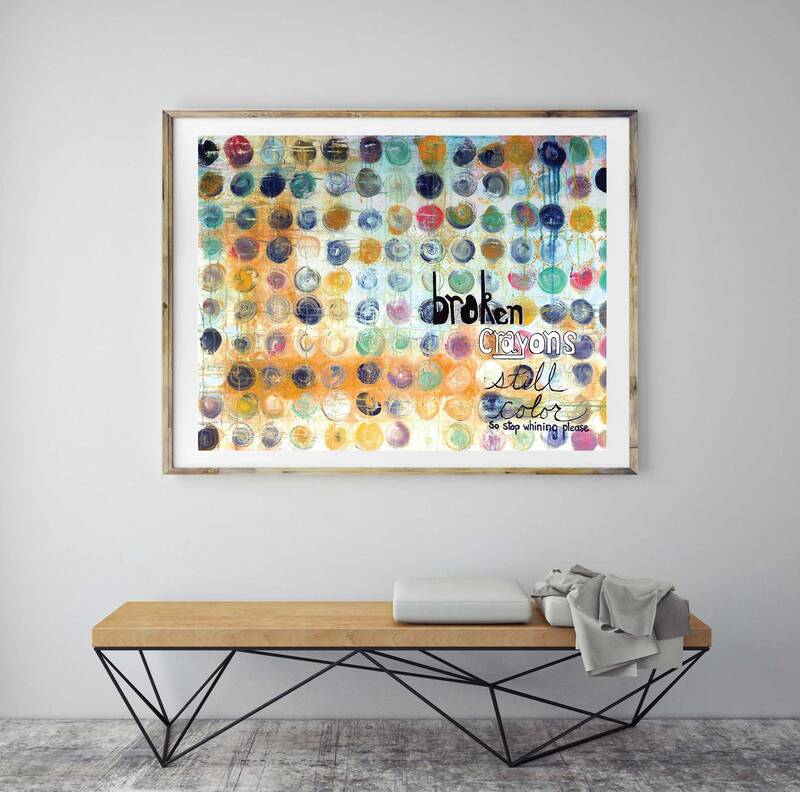 Please contact me directly and we can begin discussing your custom piece of original, one of a kind artwork! No discounts will apply to custom projects.